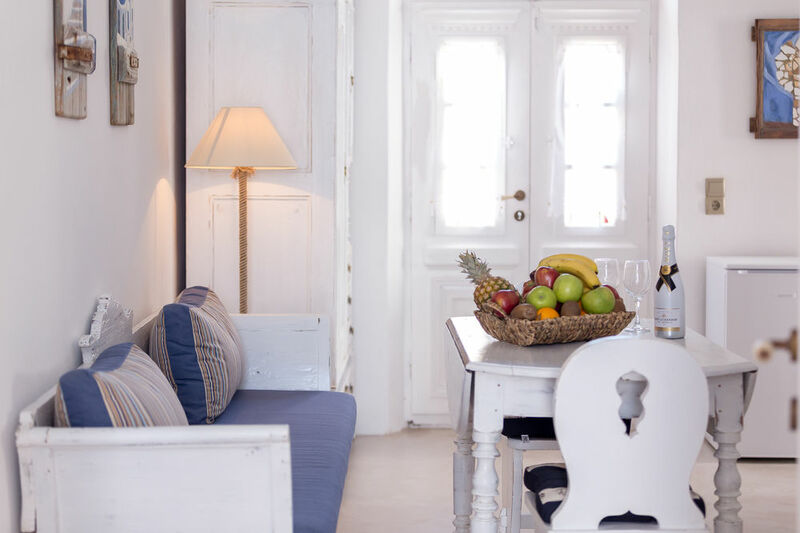 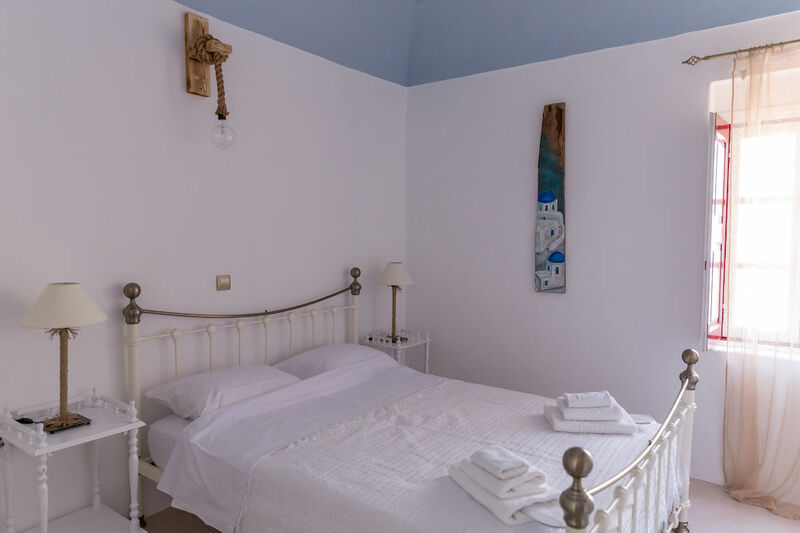 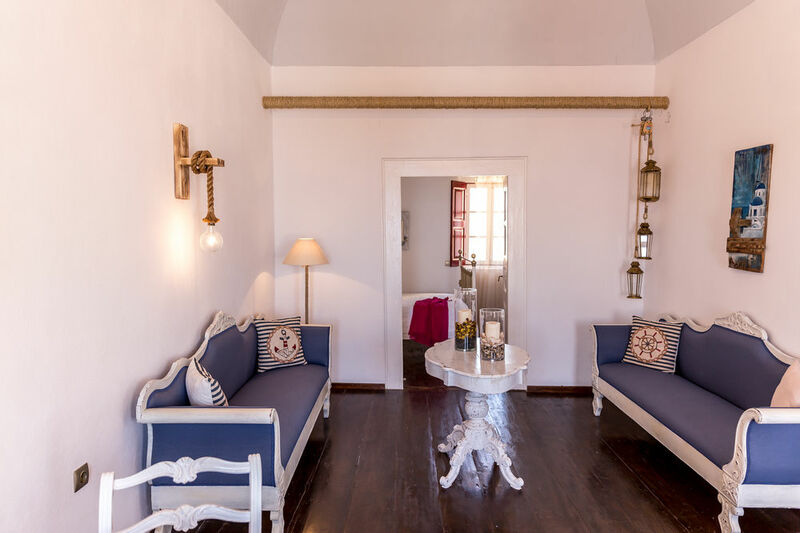 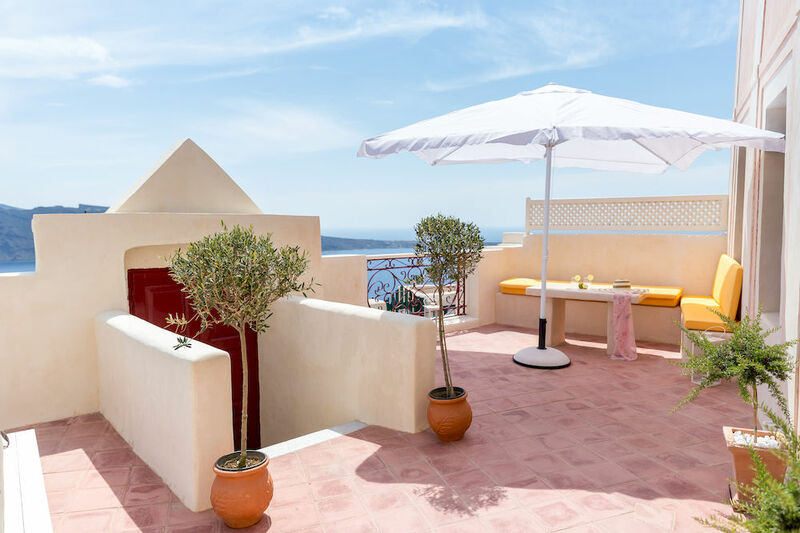 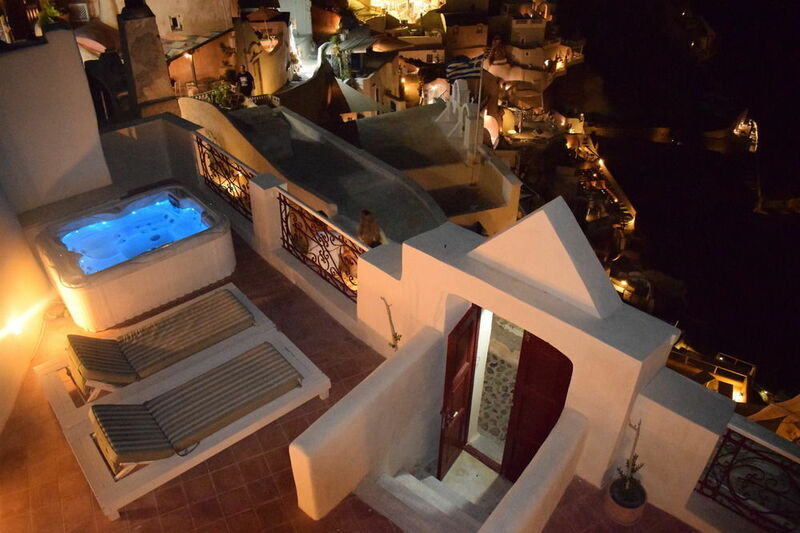 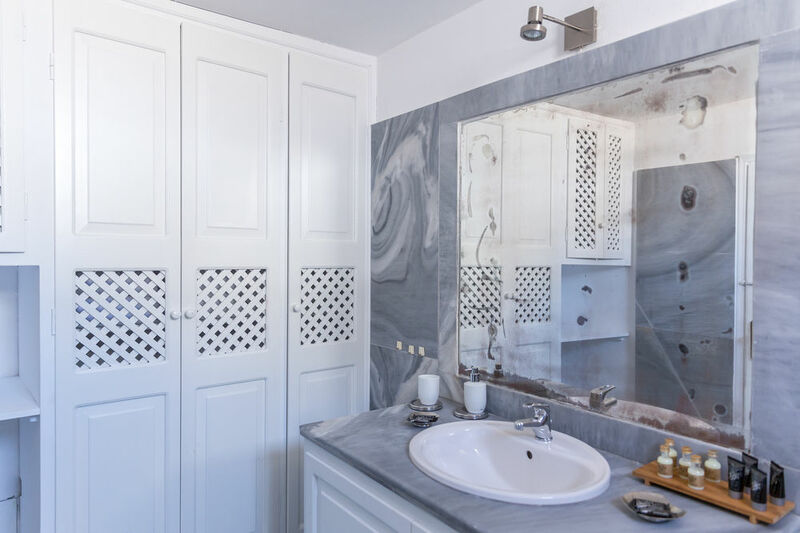 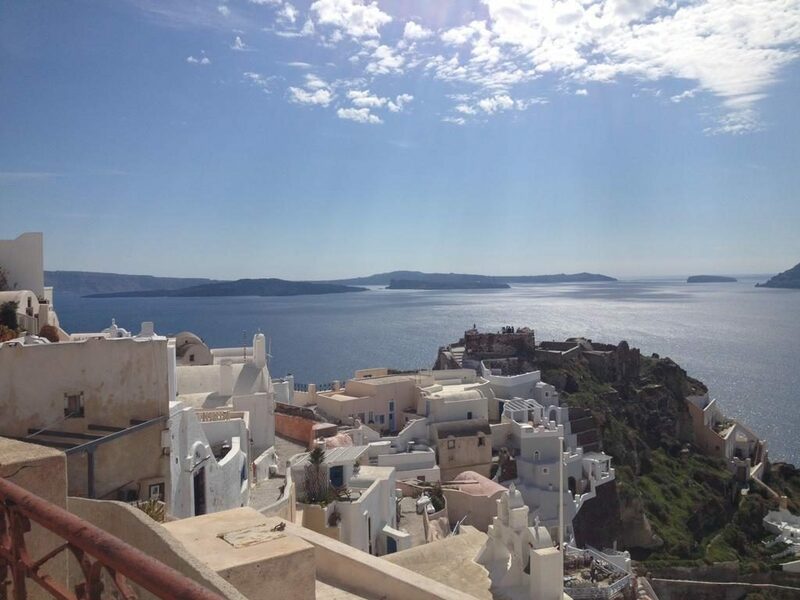 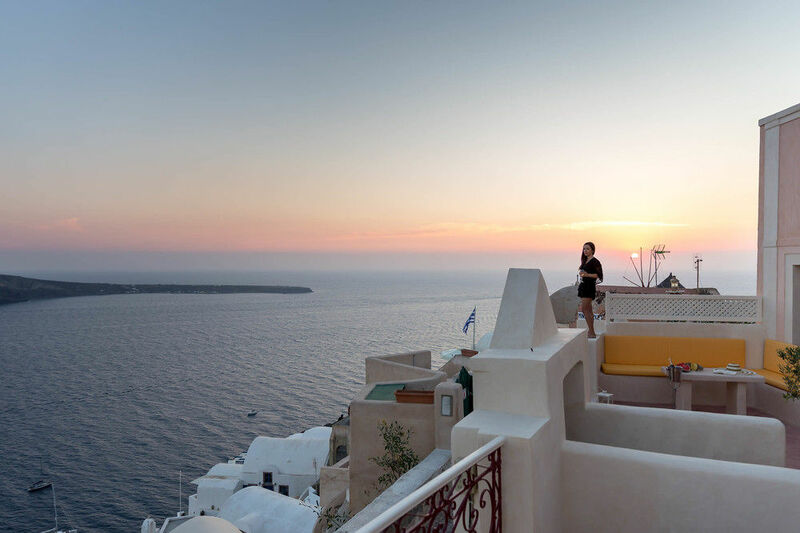 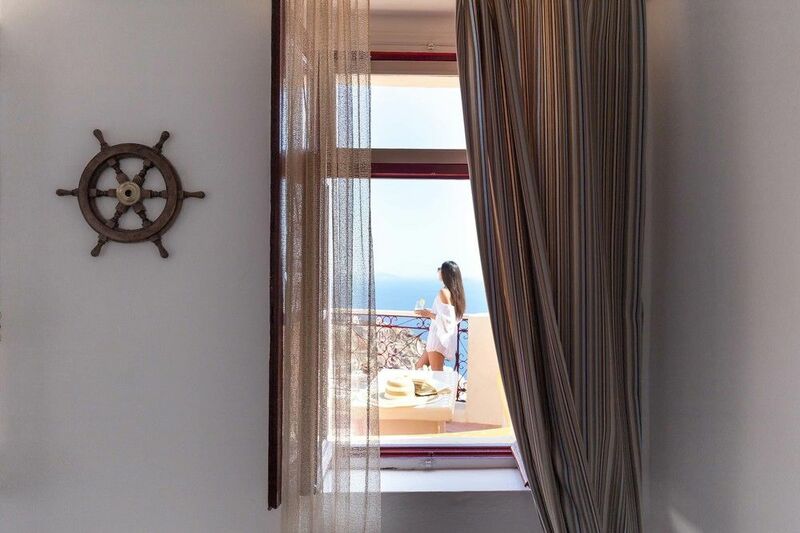 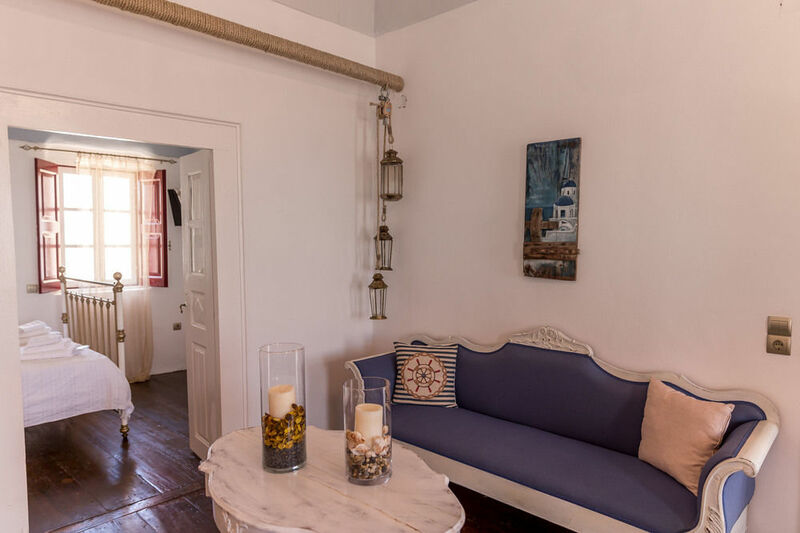 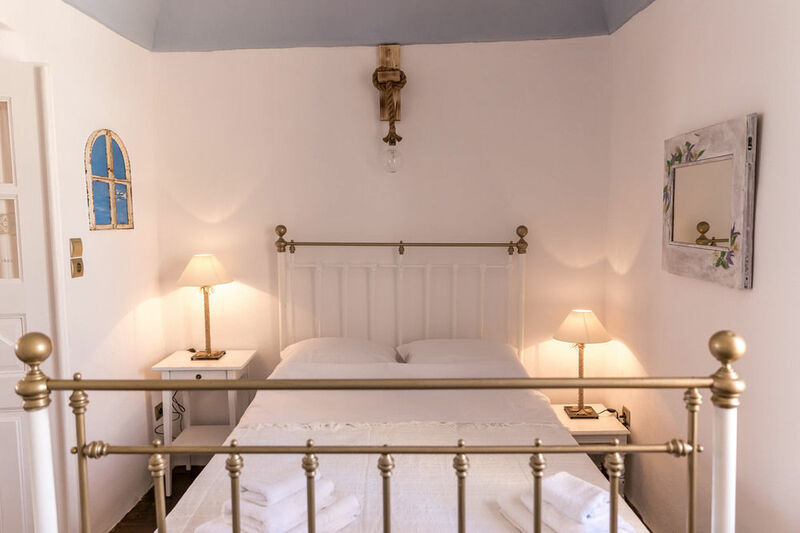 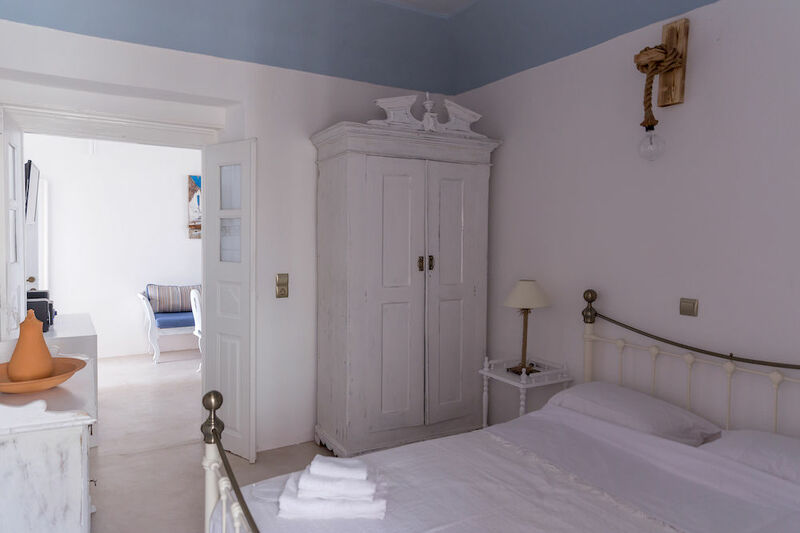 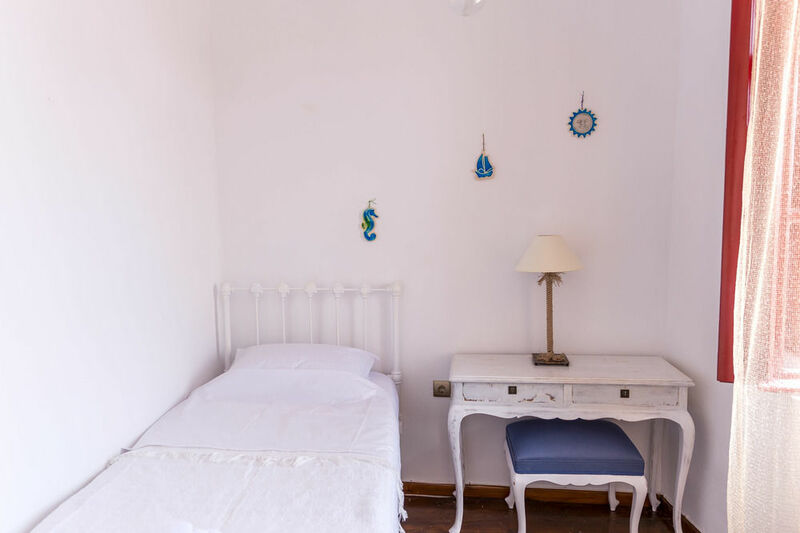 This luxuriously refurbished Mansion House is located close to the center of the village and offers amazing views of Santorini’s famous Caldera. 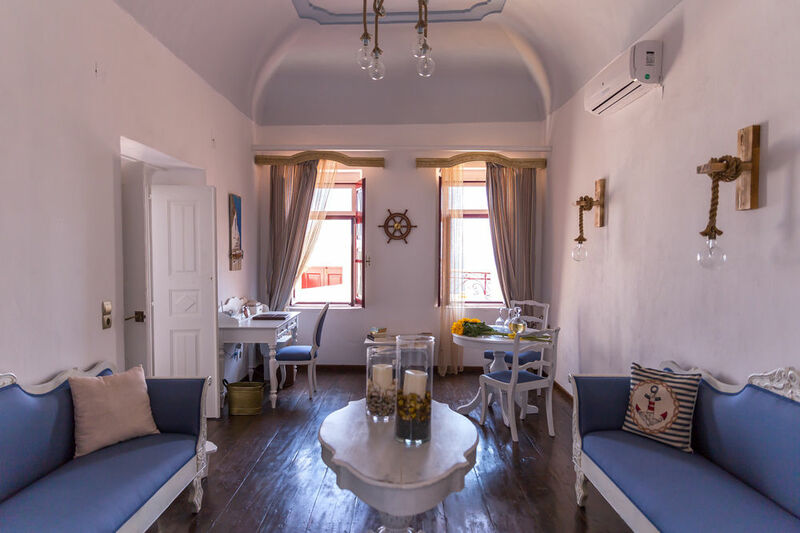 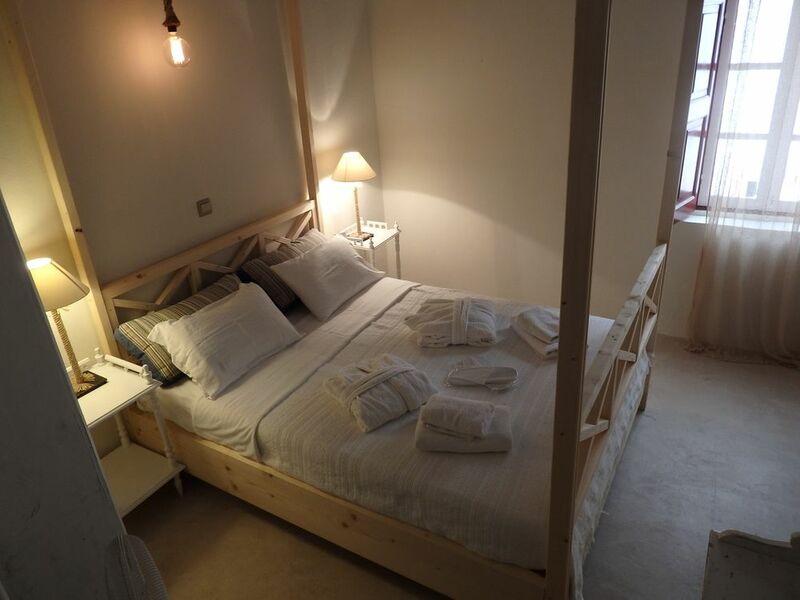 Featuring 120 square meters of living space with 3 double bedrooms, one single bedroom, living room, dining area and fully equipped kitchen. 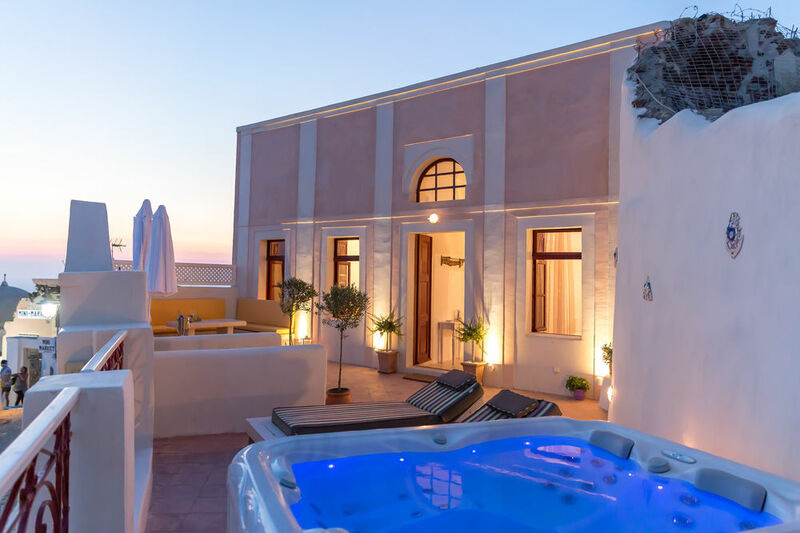 Outside is a spacious terrace with private jacuzzi tub, sun loungers and al fresco dining area for daytime snacks or an evening candlelight dinner. 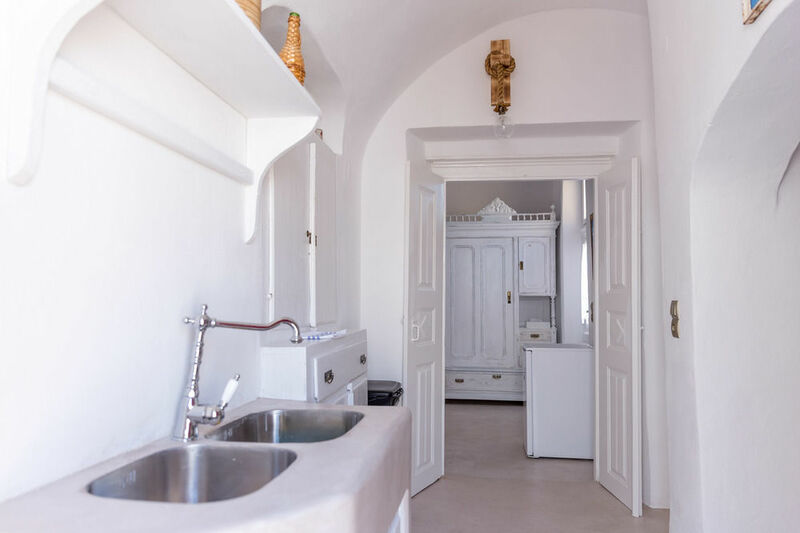 Fully equipped kitchen with refrigerator, oven, and microwave.